Dickies is an All American workwear brand found in 1922. Through the decades, different subsets have started adapting the original products and making it their own. 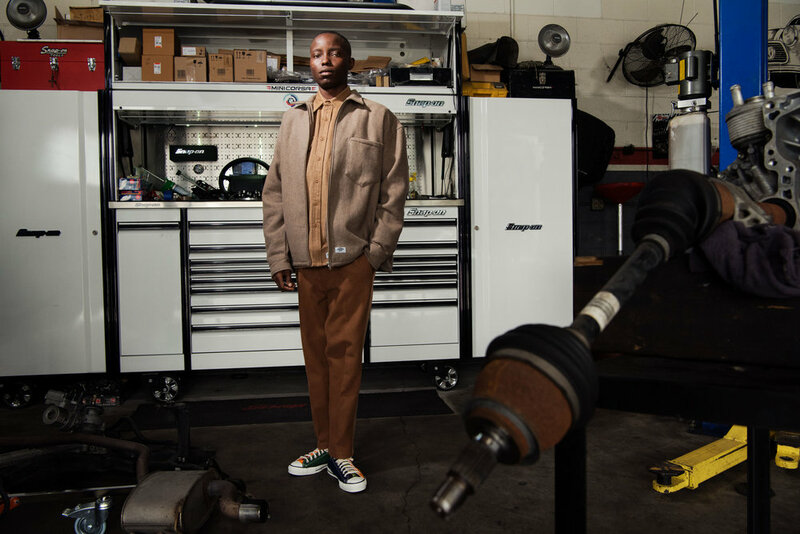 Dickies has always been about quality and affordable work wear, a uniform if you will, but the streets have adopted it and morphed it into fashion. Today, the Dickies customer ranges from a blue-collar worker to a fashion blogger. The creative consumer uses Dickies classics as a canvas on which to create new style. We think that this is the biggest compliment a consumer base could offer a brand, and Construct aims to embrace this pluralistic customer and cater more to their desires. Construct is the “streetwear” cousin of Dickies. Many People have misunderstood the definition of streetwear and assumed the term “street” is referencing clothes that are to be worn on the streets. Construct believes that the “street” in streetwear refers to making clothing that considers what the end user (“street level”) is asking for. Construct looks at the subculture that has developed around Dickies and offers the consumer the style of Dickies they’re asking for. Construct says, who better to explore the boundaries of Dickies and try and offer a new perspective than Dickies themselves?